The new year is upon us, and with it the growth of social media is only expected to continue. This projection estimates that 2.77 billion people will be using social media by the end of this year. To put that into perspective, that is larger than the entire populations of China and India put together. With such a huge audience readily accessible, marketers should be thinking about how they can leverage social media more effectively—it can no longer be viewed as a supplemental marketing channel. This is where people go to when they want to ask questions, offer praise, or make complaints. And it’s because of that reason that brands can use social media to establish connections, build relationships, and grow a community of loyal followers. Simply put, social media can potentially make or break a business, and that’s why it’s important to pay attention to the developing trends and then find ways that your brand can use them. Last year saw increased importance given to the privacy of users on social media. Companies like Facebook and Twitter have had to face congressional hearings and Google+ even shut down on account of privacy breaches. All of this has had a massive impact on how people view social media—only 41% of people globally have trust in these platforms. The distrust in social media has also been compounded by the prevalence of bots—both Twitter and Instagram have recently purged millions of fake followers from their platforms. While the purge has removed fake accounts from the networks (for now), the mere existence of them has caused people to be sceptical of brands and influencers on social media. One way brands can navigate this is to shift the focus from maximizing engagement to creating personal, meaningful dialogues with a smaller set of followers. It’d help to create small personal groups to make these conversations happen, or a branded hashtag that your followers can use to post pictures with your products. As the distrust in influencers grows, people are more likely to buy products recommended by their friends or family, and getting your followers to use your branded hashtag may be a solid foot forward for your business. Videos are slowly taking over social media—so much so that many networks have altered their algorithms to give preference to format. In 2019, this trend is expected to continue, and your brand should look at using this to your advantage. According to this study by Go-Globe, streaming videos is expected to jump to 82% percent of traffic by 2020. The changes in social networks reflect that, with Instagram introducing IGTV, and Facebook Watch recording 75 million daily viewers in the last year. All of these are opportunities. Live videos give viewers a feeling of authenticity that will boost the perceived trustworthiness of your brand, which is something you shouldn’t ignore. All of this isn’t just speculation though. This study by wyzowl gives interesting insights—84% of consumers have been convinced to make a purchase after watching a brand’s video, 81% of businesses have said their videos have helped them increase their sales, and 79% percent of consumers would rather watch a video than read a block of text. While we’ve written in detail about how you can use IGTV for your brand, a few basic concepts need to be kept in mind. It’s a good idea to shoot your videos in vertical format to make the most out of these services, and to ensure that the videos are framed correctly and well-lit. It’d also be a good idea to use these live videos to share behind-the-scenes footage, as this will add to the authenticity factor for your brand. Messaging apps have already caught up with traditional networks in terms of number of users. And going by the trends, it looks like these apps will become a lot more popular as the year progresses. Brands are quickly shifting to messaging apps, and understandably so. This survey by Facebook shows that most people are more confident about brands that they can directly message. Considering this rising trend, it’s a great idea for you to create accounts on messaging apps for your brand if you haven’t already. Set up bots to automate certain aspects of messaging, and be sure to let everyone know that you can be reached on these platforms. Facebook Messenger also supports in-app ads that you can use to your advantage, so it’s a good idea to consider that as an option. If you’re looking to take your marketing forward with messenger apps, check out our guides to marketing with Messenger and WhatsApp. Here’s something to think about: stories—the vertical, disappearing content first introduced by Snapchat—grew 15 times quicker than feed-based sharing. The creation and consumption of stories also grew by a staggering 842% since 2016. And according to Facebook’s Chief Product Officer, Chris Cox, stories are set to surpass feeds as the primary mode of sharing content at some point this year. Social media platforms as a whole have moved from being text-based networks to being heavily visual. Stories take it a step further, and ensure that content is shared in the moment. This gives an added advantage to marketers, as stories are seen as inherently more real, personal, and authentic. The disappearing nature of stories offer various new methods of marketing that didn’t exist before. Since the stories disappear in about 24 hours, it’s perfect for flash sales. You can take your followers behind the scenes for a product launch, or give them a sneak peek into upcoming releases. You can also let your followers live through your events with stories, so they can experience the excitement even if they’re not actually at the event. Stories on Instagram offer even more opportunities. You can use it to run a poll to get audience opinion, or even host a Q&A session using the “questions” feature on the app. The possibilities are limitless when it comes to stories, and given how they continue to grow, your brand should really consider using them as a marketing tool. 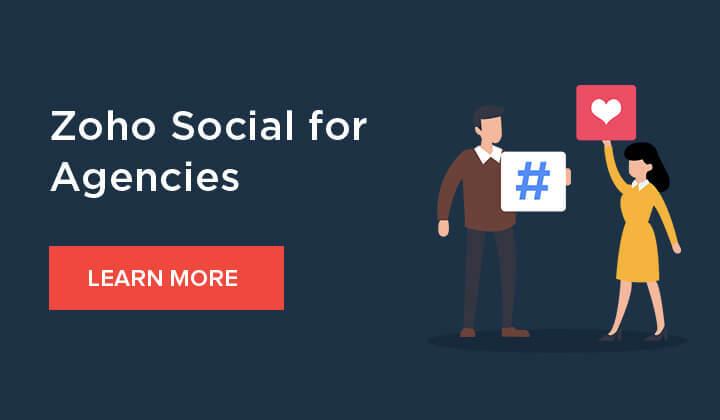 Marketers have used social networks for multiple reasons, including providing customer support, raising brand awareness, and finding potential leads for their business. Soon, it’ll be commonplace for businesses to sell their products on social media directly. Facebook launched Marketplace last year, and it has really kicked off—more than 800 million people use it every month. Instagram now has shoppable posts, where you can tag your products in your posts or your stories, so that your followers can directly purchase them from within the app. But these features aren’t yet fully released. Facebook’s Marketplace is only available in 70 countries as of yet, and Instagram has also not released their shopping features to all markets yet. However, when they eventually do roll out universally, expect them to cause a massive impact. If these features are available in your region, it’s a good idea to set your account up for it immediately. On Instagram, you’ll need to have a business profile, add your products to a Facebook catalog, and once Instagram approves your submission, you’ll be able to tag your products in your posts and sell them from within the app. The world of social media is extremely dynamic, so it’s always necessary to keep an eye out on the trends to prepared for changes when they arrive. From what we’ve noticed, these are the changes that we anticipate to see this year. Have any questions, or know of anything that we’ve missed? Leave a comment below, and we’ll be sure to get back to you! As you mentioned, last year we saw a huge distrust toward social media. It got national attention due to the congressional hearings. At that time almost every new agency was covering the hearings. I thought social media was doomed. But fast forward to the present and it’s almost forgotten. Social media companies have taken action to clean things up and most folks have forgiven, forgotten or don’t care. As an artist on social media I hope social shopping catches on. I am on Facebook where I can create shoppable art posts with stories so followers can see, relate, comment and pass on to others. The biggest drawback is that Facebook ad costs are rising; however they are much lower than Google. I believe they are roughly $0.27 per click. And if you set up your campaigns right you can drive high quality clicks that should produce value. In my opinion Facebook could crush the online shopping market by lowering their CPC just a little. When you look at where all the social shoppers with money, most are on Facebook.